Research towards the book developed from Aynsley’s longstanding interest in design in Germany. The book investigates the cultures of German design from the late 19th to the end of the 20th century. It set out to provide an authoritative analysis which spans many types of design (interior, product, ceramic, graphic, architecture and fashion). The aim was to combine a body of new research with a reliable synthesis of secondary sources, mostly in the German language. The volume focuses on many designed objects that have not had scholarly attention hitherto. Previous interpretations of German design have concentrated on certain key areas, among them, the German Werkbund, the Bauhaus and Ulm Hochschule für Gestaltung. While considering these important structures, Aynsley’s study places such modernist landmarks within a far broader history to reveal other, co-existent tendencies and traditions. For example, historicism – usually associated with the late 19th century – is traced as an important characteristic of design in the 1920s, as well as under Nazism and within German postmodernism of the 1980s. 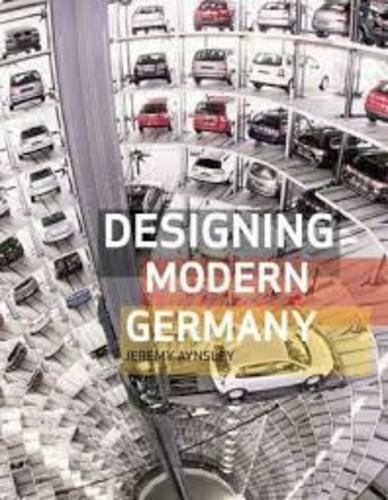 Reviewers such as Baumhoff in the Journal of Design History (2010) and Hessler in Technology and Culture (2011) commended the book for providing one of the first considerations in the English language of design between 1948 and 1989 in both the Federal Republic of Germany and the German Democratic Republic. Hessler (2011) considered it ‘a brilliant overview of the history of German design’. The research was supported by a British Academy Small Grant award and the RCA Research Development Fund. On the basis of this project, Aynsley was invited to speak at Los Angeles County Museum of Art (2007), the Bard Center for Graduate Studies, New York (2008) and the V&A Museum, London (2008), and to join a consultative panel on future exhibition policy at the Bauhaus Museum, Weimar (2013).